So, most people now have one of these mobile batteries because most smartphones can’t go a few hours without needing a charge. I suppose that we are to blame for what we put our phones through. I have reviewed so many that I have lost count, and today it is the Flipstick from TYLT, another company whose products that I have reviewed. There is brand known as PocketJuice that it very cheap and does its mobile battery job. I don’t know if this is by design, but TYLT’s Flipstick has a similar shape. I can’t remember what the stats are for a typical PocketJuice, but the Flipstick has a 3,350 mAh battery, as well as an input/output for 1 Amp USB port. 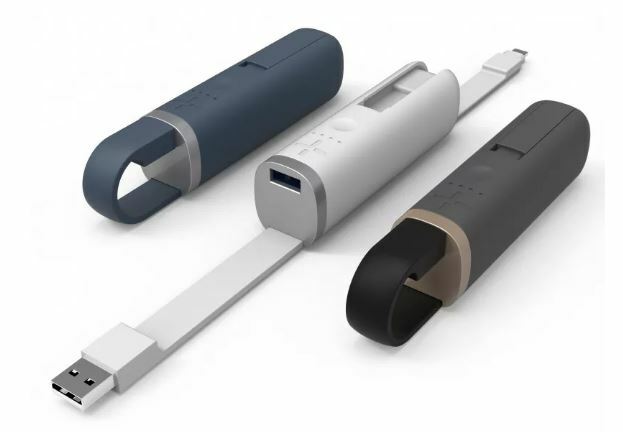 Most mobile batteries have a USB port, and the Flipstick has that, plus some connector for the Micro, Type C, or Lightning Connector. So what else does it have? Well, it has the typical LED battery level indicator lights, and it has a 3 hour charge time for the internal battery. I’m told that it provides about 1 full charge to the smartphone. The Flipstick will be available on the TYLT site soon in colors of blue, white, and black for the micro-USB, Lightning, on USB Type C Connector.